When I heard some weeks ago that memoQ 6 would offer a preview of TTX files, I was curious what this would be and how it was possible. In my mind, I had a picture of the view of the original format, and I couldn't see how this could be reproduced from a Trados TTX. Of course it can't. 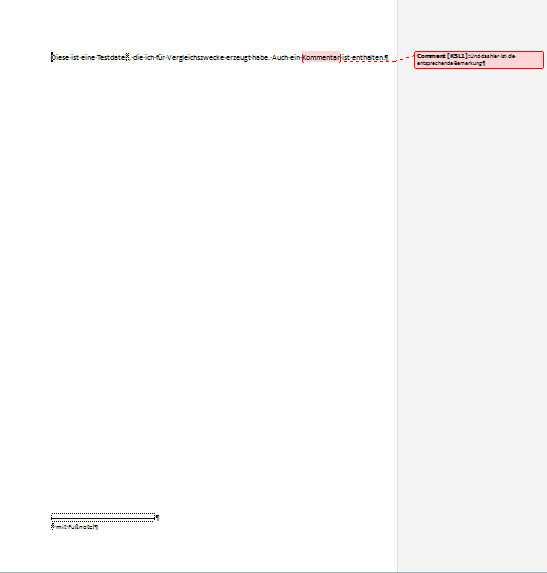 I made a little file with two sentences, one footnote and one comment in Microsoft Word. The memoQ tags, can of course be displayed in a shorter form using toolbar options; I'm just showing the full tag text here for demonstration purposes. 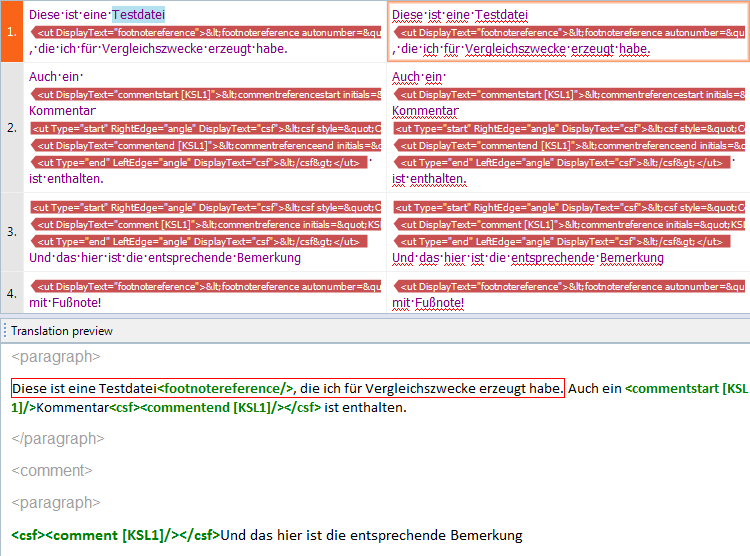 The preview of the TTX is shown below the translation grid. 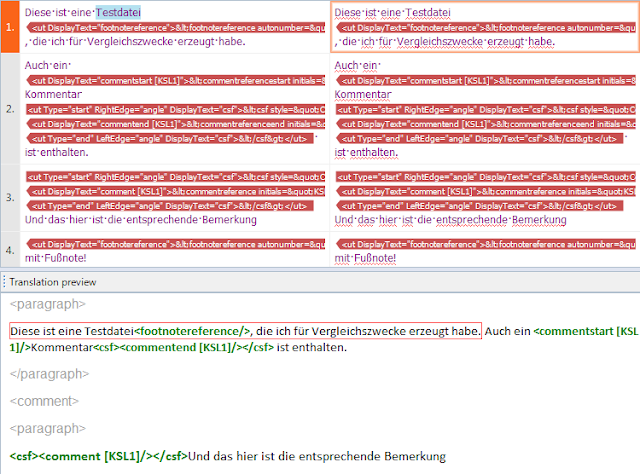 It is of course a preview of the tags one would see in the Trados TagEditor. The original tags are easier to understand than the tags in the memoQ grid, and the color differentiation between inline tags (green) and other tags (grey) is helpful. In the case of that second point, I would re-import the document and select the option to include the unsegmented content. Then use the X-translate function available with version management to pick up where you left off without losing much time. I always leave versioning active in my memoQ projects to allow for possibilities like this. It is also helpful that the new version 6 offers all the features of versioning previously available only in the Project Manager edition of memoQ, which makes comparisons and reporting easier.